What's in a Twitter handle? Apparently a lot of green, judging by opportunists around the world who are trying to cash in by selling fake followers online. 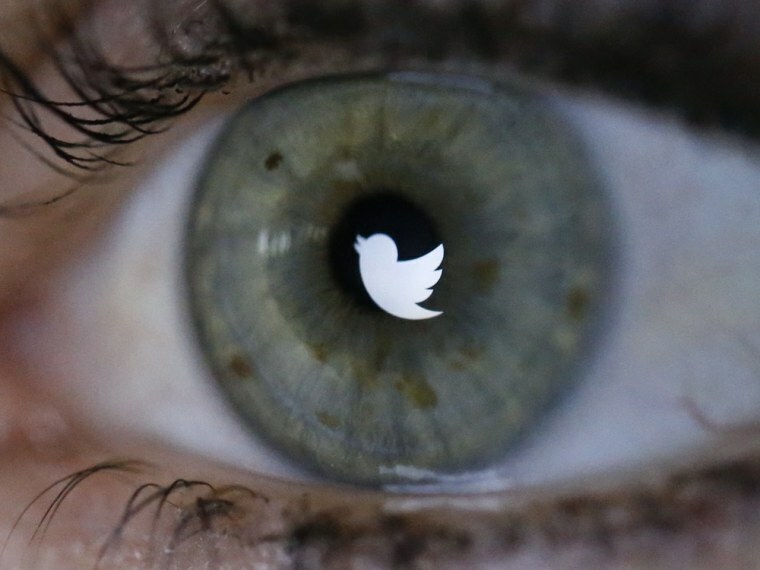 Twitter, in advance of its initial public offering on Nov. 7, disclosed that it had 232 million monthly active users. The question is: How many of those users are fake? The estimates vary. Italian security researchers Andrea Stroppa and Carlo De Micheli, in a report released earlier this year, claimed that they found 20 million fake accounts for sale. Jason Ding, a research scientist at Barracuda Labs, told NBC News that the number of Twitter accounts that were fake was "at least 10 percent, maybe more." Twitter, according to The Wall Street Journal, claimed in its Securities and Exchange Commission report that only 5 percent of its accounts were fake. Twitter does try to prevent bogus accounts by enforcing a strict follower-to-following ratio, and by putting a 1,000-person cap on the number of people that any one account can follow in a single day. But a robust market for fake followers still exists. In April, Stroppa and De Micheli singled out unusual activity in the Twitter accounts of several public figures, including celebrities like 50 Cent, P. Diddy and Colorado Rep. Jared Polis. They all experienced dramatic jumps in followers in a short amount of time, according to a New York Times report. The Twitter handle for Polis, @jaredpolis, gained 19,705 followers in one day, then lost 13,332 of them in another. De Micheli told NBC News that he compared those gains to similar ones by big companies like Red Bull, which garnered around 16,000 followers after the widely publicized Stratos event involving a skydiver jumping from the stratosphere. The notion that Polis, who wasn't featured prominently in the news the day that he gained nearly 20,000 followers, would experience that level of growth on Twitter organically is unlikely, De Micheli said. Twitter allows its users to remain anonymous and register with only an email address and a simple captcha test. That makes it more vulnerable to bots than other social media sites like Facebook, said Ding, although no site is completely safe from fake users. "Twitter is working on it," Ding sad. "But as the fake account gets more evolved, it gets harder for Twitter to suspend them. They are both are evolving to beat each other." Twitter did not respond to a request for comment from NBC News. A company representative told The Wall Street Journal, which first reported on the fake accounts, that it had "a variety of automated and manual controls in place to detect, flag, and suspend accounts created solely for spam purposes." Buying fake followers isn't expensive, either; the average cost for 1,000 is only $11, according to a report by Barracuda Labs. That doesn't seem like a lot of money but it can be lucrative to the creators. That's because each account can be built in as little as a second and follow 2,000 people — and having them automatically follow new customers is an extremely labor-efficient business model. Not all fake accounts, however, are created equal. "The more you pay, the better the accounts are, and the longer they last," De Micheli told NBC News. "There is a huge gap between the quality of fake Twitter followers." So why does it matter if there are millions of fake Twitter accounts floating around? "It's like you earn a university diploma, you work hard for your four-year degree, but when you get to the job market you see that other people just spent money on a fake degree and are competing with you," Ding said. "It's not fair." Gaining true followers is often a slow, gradual process, something that companies can spend a lot of money on. Letting people game the system could discourage users who are trying to do things the right away. Also at risk, Ding warned, is Twitter's business model. Why would someone spend more for a legitimate advertisement on Twitter if he or she can get fake followers for less? De Micheli noted that Twitter could start requiring stricter security measures like phone verification — which, he said, would make creating fake accounts prohibitively more expensive. But there are trade-offs to making it harder to sign up for your service. "They look at situations like the conflict in Egypt," De Micheli said, referring to the widespread use of Twitter during the Arab Spring, "and they want to keep the platform more open."